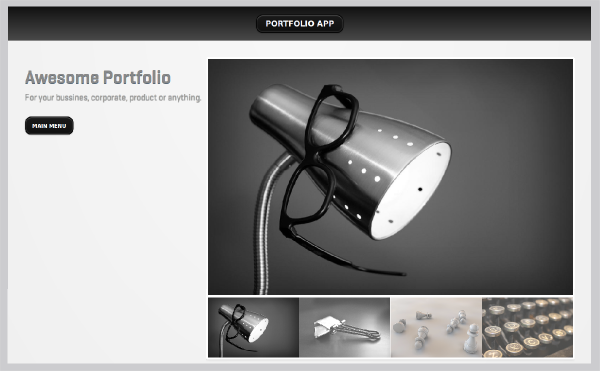 Portfolio App is a awesome app to anyone to promote their portfolio, bussines, product, or anything else. 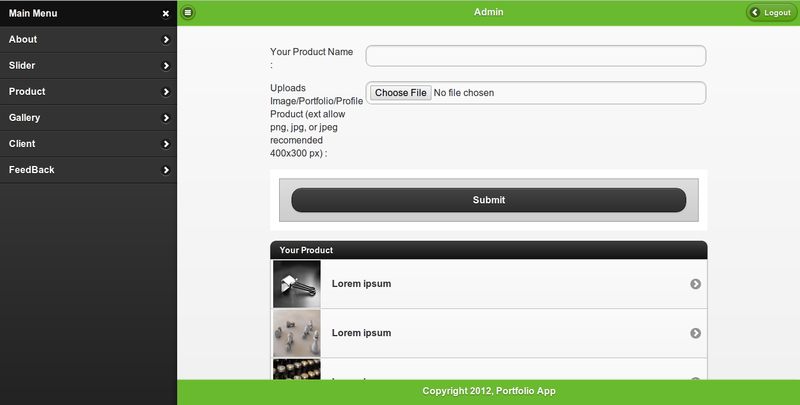 This app include Native web for user and admin panel. It’s easy for customized and running this web into webserver. Include user guide too. 1. 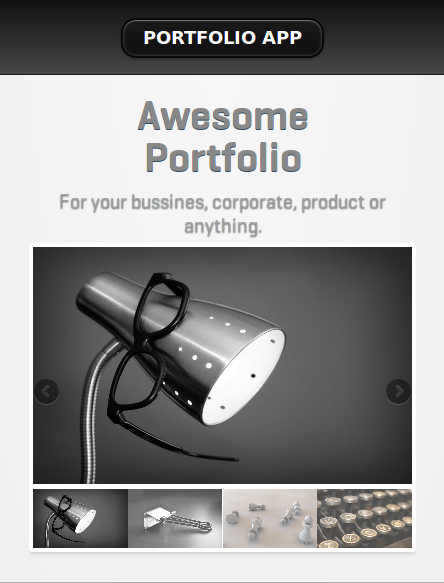 Slider Responsive using Flexslider. 4. 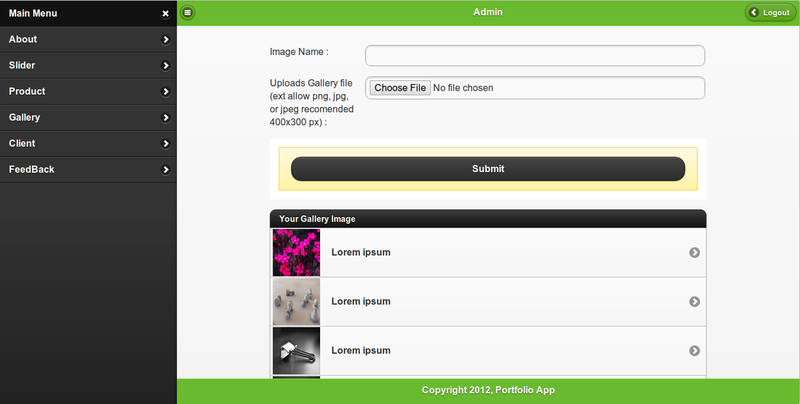 Gallery Image using Jquery Plugin. 1. FlexSlider Free from here. 2. Jquery Plugin Image Free from here. 3. All image free is from here. 2. 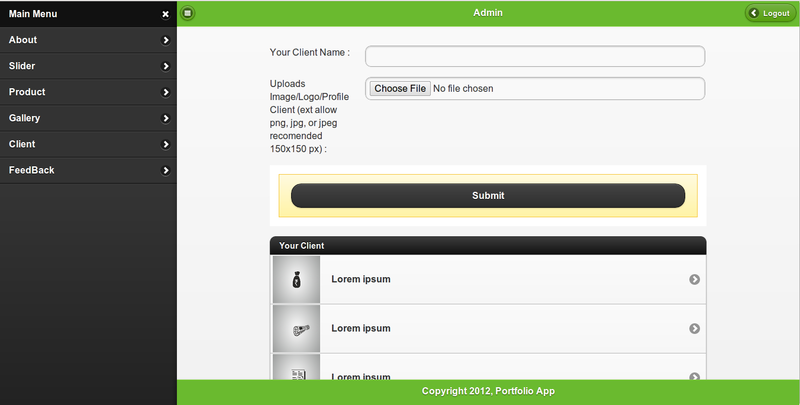 Admin using new feature : Page Menu Panel. 1. 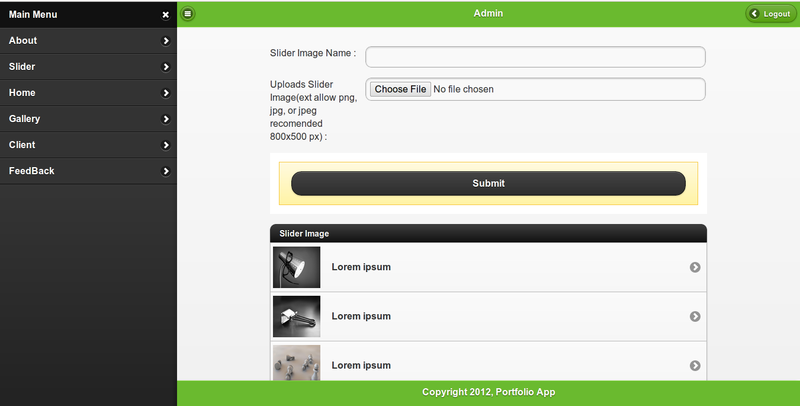 Change padding of font in slider, product, gallery, and client for admin and user. 2. Add icon phone, maps, and email in about.